This obligation is also valid in the context of Internet use. 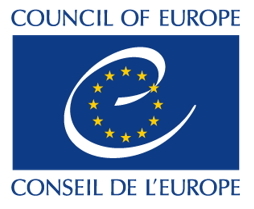 Other Council of Europe conventions and instruments, which deal with the protection of the right to freedom of expression, access to information, the right to freedom of assembly, protection from cybercrime and of the right to private life and to the protection of personal data, are also applicable. 2. The Internet has a public service value. People, communities, public authorities and private entities rely on the Internet for their activities and have a legitimate expectation that its services are accessible. No one should be subjected to unlawful interference with the exercise of their human rights and fundamental freedoms when using the Internet. 3. 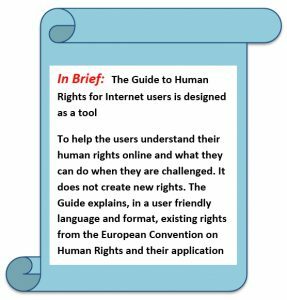 Users should receive support to understand and effectively exercise their human rights online when their rights and freedoms have been restricted or interfered with. Users should be empowered to use the Internet to participate in democratic life. 4. To ensure that existing human rights and fundamental freedoms apply equally offline and online, the Committee of Ministers recommends that member State. Ensure that Internet users have access to effective remedies when their rights and freedoms have been restricted or when they believe that their rights have been violated. You have the right to an effective remedy when your human rights and fundamental freedoms are restricted or violated. Why: to obtain a remedy, you should not necessarily have to pursue legal action straight away. The avenues for seeking remedies should be available, known, accessible, affordable and capable of providing appropriate redress. To whom: Effective remedies can be obtained directly from Internet service providers, public authorities and/or national human rights institutions. To remember: you have the right to a fair trial within a reasonable time by an independent and impartial court; you also have the right to an individual application to the European Court of Human Rights after exhausting all available domestic remedies. FIND YOUR RESOURCES! Click on the links for further details. 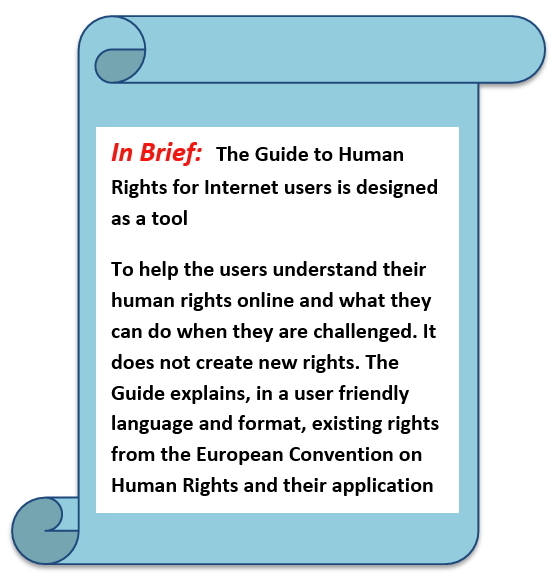 Guide to human rights for Internet users.